Quality solid teak made extension table. The CAFFAY 4pce outdoor set comprises 2x armchairs, 1x 2 seater, and a coffee table. The pieces are light and easily moved to suit different occasions. The striking HALFMOON 5-piece outdoor set provides a neat shady side, and a sheltered side, to its structure. HAWEA Rattan Outdoor 4 PC Set in dark color. 4 Piece Sofa Sets including 1x2Seater, 2xSingle Chair, 1x Coffee Table. 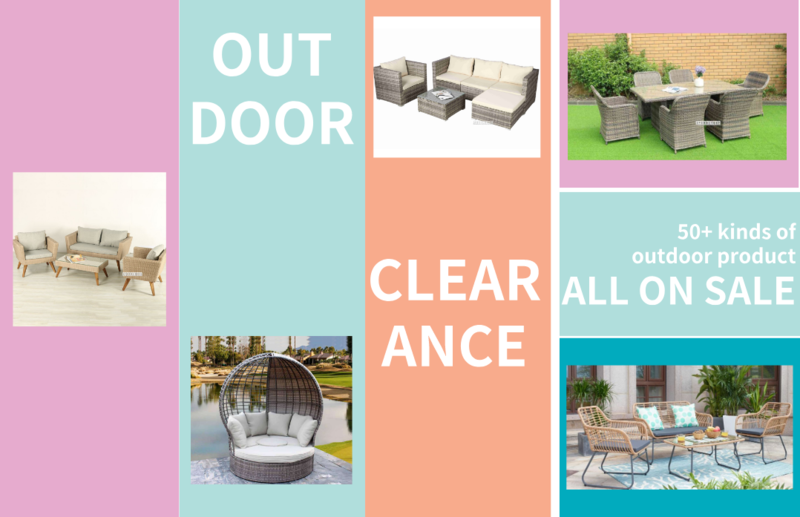 WHATIPU L shape Modular Rattan Outdoor 4 PC Set in light color. This is a quality Egg hanging chair, the cushion color is in multicolor flower style and comfortably supports seat and arms. 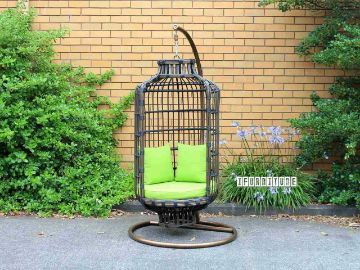 Elegant bird cage like swinging chair with green cushions. Quality solid teak made 70cm square table and chairs. Table model 007. Quality solid teak made 70cm square table. Model 007. Quality solid teak made bar chair. Hand crafted. Quality solid teak made bar set: Round extension bar table, 4 bar chairs and ne 2 mitre diameter umbrella. Quality solid teak made bar counter. Extendable, with umbrella mountings. Quality solid teak made foldable Table in octangle shape. 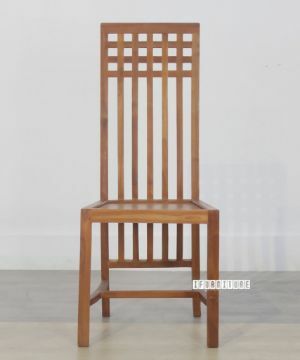 Quality solid teak made foldable chair. Quality solid teak made dia 3m umbrella. Quality solid teak made dia 2m - 3m umbrella. Quality solid teak made square folding table. Can be used as a side table or small size square coffee table. Quality solid teak made rectangle folding table 120x70. Quality solid teak made Square Back Top Chair. BIRDNEST rattan outdoor table and 2 chairs.